Aerotoxic Syndrome, does that really exist? "Aerotoxic Syndrome" is the collective name for a wide range of seemingly vague and unrelated health complaints. A controversial term, for a disease whose existence has been persistently denied by the airline industry for decades. Unfortunately, thousands of victims around the world know from personal experience how far-reaching the consequences of the Aerotoxic Syndrome can be. For them, recognition of their physical complaints is of utmost importance! In 1999, Dr. Harry Hoffman (U.S.A), Prof. Chris Winder (Australie) and Jean Christophe Balouet PhD (Frankrijk) published a scientific report: "Aerotoxic Syndrome: Adverse health effects following exposure to jet oil mist during commercial flights". 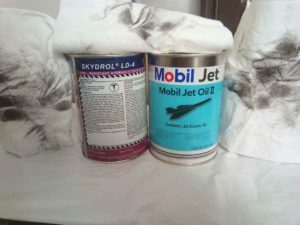 The report describes the harmful results of exposure to vapours of jet engine lubricating oils. In their report, the authors introduced the term “Aerotoxic Syndrome” for these physical complaints for the first time. 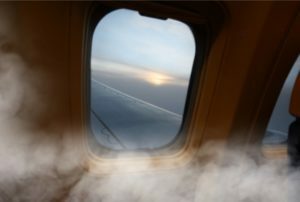 Even though the airline industry tries to make you believe differently, such exposure to oil vapours does occur regularly. One of the main causes is oil leakage from the engines. The air that is used for cabin pressurization and ventilation gets contaminated by oil particles containing a.o. Organophosphates. Organophosphates are among the most toxic chemical compounds known to man. From a chemical perspective, they are closely related to nerve gases such as Sarin. They can cause serious damage to the brain- and nerve system, resulting in a wide range of (often neurological) physical complaints. The symptoms of Aerotoxic Syndrome are in fact the direct result of poisoning by these Organophosphates. "No evidence of causal connection..."
The airline industry have persisted for decades that there is "no evidence of causal connection" between these matters. After all, admitting that e.g. an oil leak could cause serious health problems, would unavoidably lead to huge financial claims. Therefore both manufacturers and airline companies do their utmost to avoid this. A parallel with the tobacco industry pops into mind here: Tobacco smoke had been known to be highly toxic for a long time. Also, the inhalation of these toxic substances was known to promote lung cancer. But even then, it remains difficult to legally prove the lung cancer that an individual develops today to be caused indeed directly by his smoking in the past, excluding any other factors.